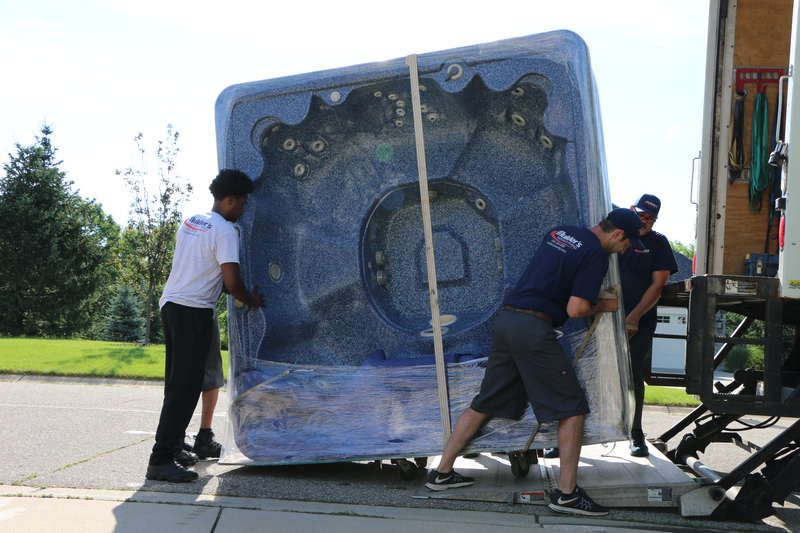 This client needed to move this hot tub from a backyard to a new house a mile away. Since Mulder’s Moving only has a one hour minimum (as opposed to a four hour minimum that many other companies have), we are able to tackle these specialty moves. Moving a hot tub is tricky. Even if it hasn’t been used in years, it will probably leak water everywhere once tilt. Also, the outer layer is delicate fiberglass – one crack and it is ruined. Lastly, they are extremely heavy. This combination of conditions requires skilled movers. To add to the mix, this particular hot tub was extremely large and would only fit in one of our trucks. 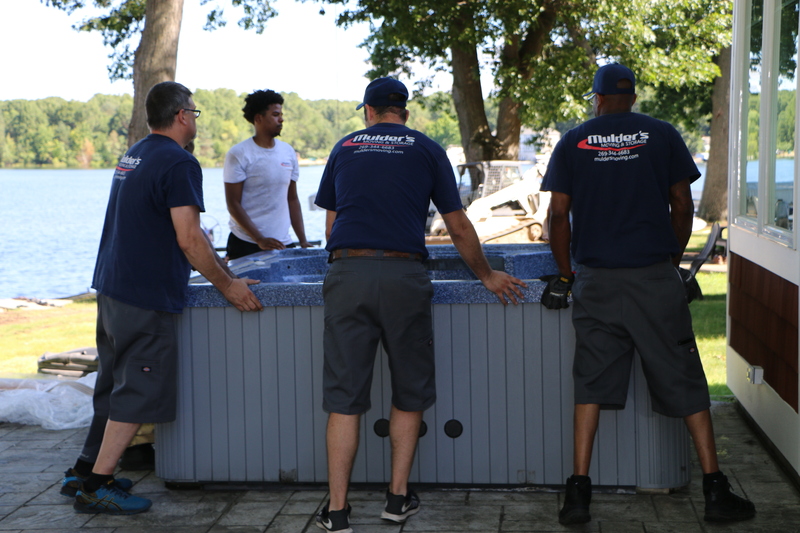 Luckily, we had an incredible crew that got this hot tub moved and in it’s new location without a hitch! 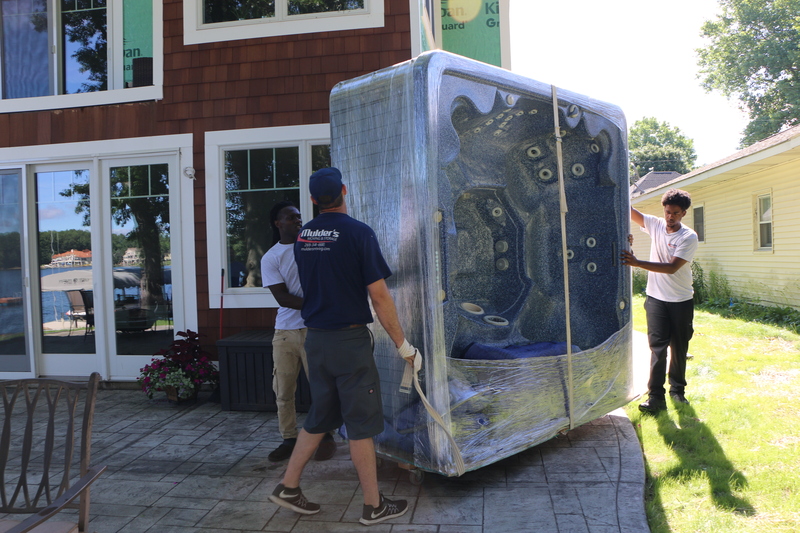 We are sure to use utmost care when moving these specialty items, which is why we have become the go-to company in southwest Michigan for these types of moves. 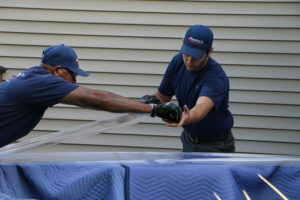 Looking for a company to move your hot tub? Give Mulder’s Moving and Storage a call today!